Following the success of the last music night, Elton Jubilee Field will be holding another event outside the Duke of York, Elton. September 28TH from 7pm with music from 8pm. The band this time will be Swansong from Sheffield. A barbeque will also be on! 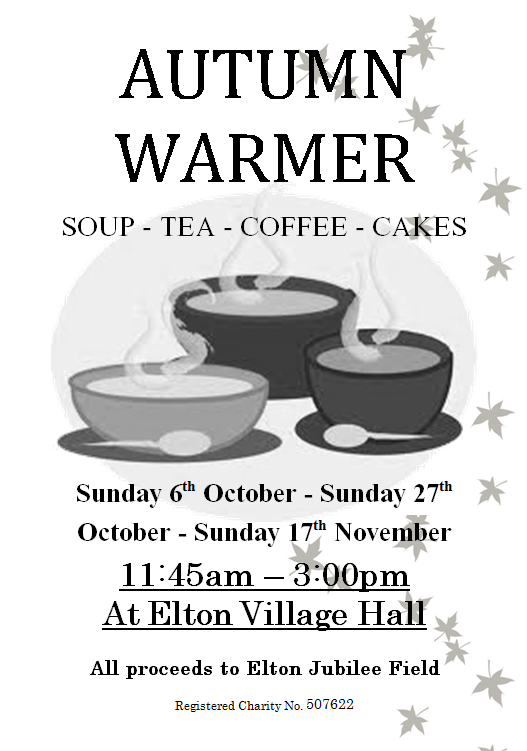 Elton Jubilee Field are planning on warming up the cold months with their Winter Warmer fundraisers. Click on the image below for larger poster showing dates and details. Elton Jubilee Field Committee is a registered charity and all money raised will go towards the Improvement Project.